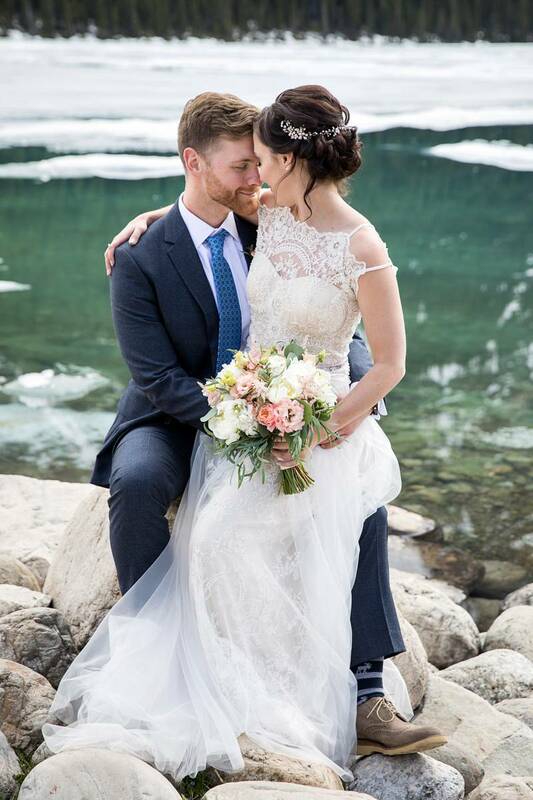 Amy and Zach eloped on the shores of the beautiful Lake Louise as the ice melted in the most beautiful wedding ceremony. 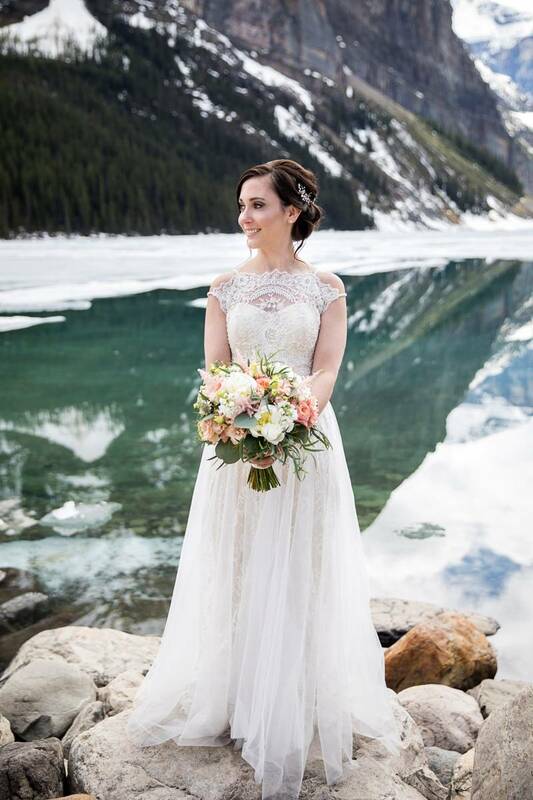 Mountain Beauties helped Amy get ready for her elopement and worked with her to create the perfect hair and makeup. We created a romantic and elegant updo accented with a gorgeous silver vine-inspired hair piece - the final results were perfectly stunning. For the bride's makeup, we kept the look soft and romantic in neutral shades with a touch of smokiness in her eyes. Her beautiful smile radiated with love and we were thrilled to be a part of such a special day. The wedding was photographed by a fellow colleague and amazing photographer, Kim Payant Photography and planned by Something New Weddings. Everything came together so beautifully with so many talented people involved! You can find more wedding hair and makeup inspiration in our galleries - from elegant to bohemian there's something for every bride in our portfolios and we hope you enjoy looking through our work.